Our top recommendation, ExpressVPN boasts consistently quick download rates across the board and is simple to use. DNS requests are coerced to IPv4 to prevent IPv6 leaks. All connections are 256-bit encrypted over OpenVPN by default. ExpressVPN recently added a « network lock, » its term for a kill switch, to prevent any traffic traveling over unencrypted channels. NordVPN has a huge wealth of servers to choose from, and the app shows which are under the heaviest load. That means finding a fast one is easy. DNS leak protection and a kill switch can both be enabled in the settings. Some servers are specialized for « ultra-fast streaming », so those should also work well for torrenting. NordVPN keeps no logs and is based in Panama. All of the servers use shared IP addresses unless otherwise noted. « You’re being monitored! 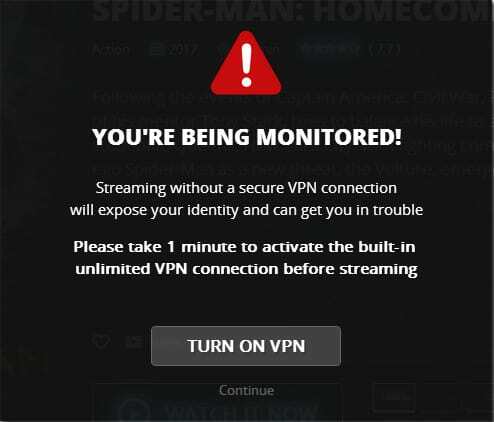 Streaming without a secure VPN connection will expose your identity and can get you in trouble. Please take 1 minute to activate the built-in unlimited VPN connection before streaming. The message pops up after clicking « Watch it now » for any video in the app. While this appears to be an error message or security alert, it is merely an advertisement. Clicking « Turn on VPN » will take you to a page where you can purchase a VPN subscription with Anonymous VPN. 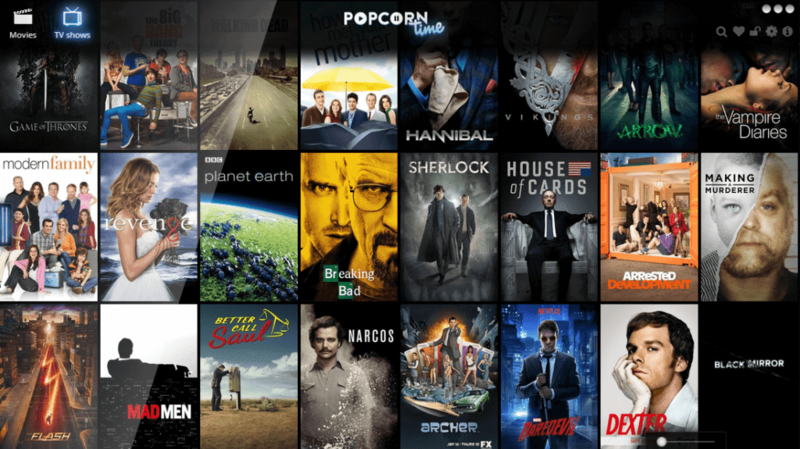 If you connect to a VPN server from a different provider before watching Popcorn Time, you will still see the ad. So long as you are connected to a reputable provider, you can safely ignore it and click « Continue ».